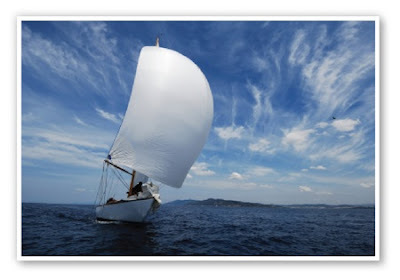 Glenisms - A Solutionist view of the world: I can't change the direction of the wind, but I can adjust my sails to always reach my destination. A New Season... Isn't it wonderful that we are given this gift once a year to clean the slate and start over... As we look forward to 2009 we are faced with challenges we never considered possible at the beginning of 2008. But with this new season we are given the opportunity to review what was successful and unsuccessful in the past. The key is always learning, never settling and always be ready to adjust our sails. We may not be able to control all the outside forces that affect our business but we can control how we respond to them. New challenges will require new kinds of responses. Alin Jacob recently said, "The keen observer has learned that business as usual will no longer do. They realize that new technologies are here to stay, and we must utilize them to our advantage or suffer the dire consequences." I am ready and excited for the future. I believe that not only can a company survive these current economic times but they can continue to grow. Yes, adjustments (change) will be necessary but as Jimmy Dean pointed out the only unknown is the angle of our sails not our destination.